A few days ago the Chinese tech site Winp.cn cited its sources, indicating Huawei would be releasing its first Windows Phone device on September 25th. This came as probably mildly exciting news, because although Huawei isn’t exactly well known for producing super duper cool phones, from Windows Phone the ecosystem’s point of view, the more the merrier. However, September 25th came and went, rather uneventfully. There was a moderately heavy rain in Beijing, causing epic traffic jam across the whole town, maybe the most interesting news of the day. Yet Huawei didn’t break a move. Disappointing. We can’t be sure if Huawei was accusing the picture to be Photoshopped. But anyway, the rumor was officially denied. However, that didn’t stop the story from spreading out. And it was somehow further fleshed out in the process, being added details such as 4 color variations, estimated late October availability, and September 25th launch event. It’s a curious case in media communication for sure. Since the rumor about launch date was missed, the credibility of other parts of the rumor could quite likely fail too. Let’s tune the Rum’o’meter down a notch. More importantly then, when will Huawei put forth a Windows Phone device? Anyway, move along, people, nothing to see here. 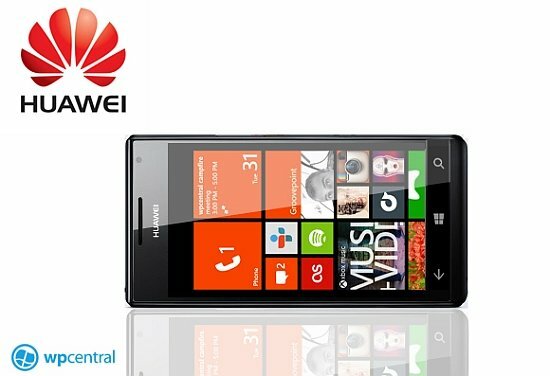 There will most likely be plenty of waiting before Huawei’s first real splash in the Windows Phone pond. If you are seeking a phone upgrade, I’d suggest against waiting for this particular brand. Both Nokia and HTC have brought to the table quite impressive devices, in terms of both technology and design. Without considering the price factor, honestly I don’t think it’s possible to get a much better deal than Lumia 820/920 and HTC 8X/8S any time soon. Just go ahead. Don’t let Huawei hinder your Christmas spirit.